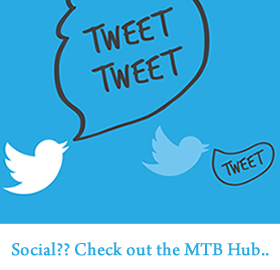 My name is Ian Conradie, 46 year old male, and have been doing mountain biking for approximately 3 years. The love for this sport was instant. I started off with doing events like the Nissan Trail Seeker, Stellenbosch Cycle Tour, Paarl Classic and many more. I did my first Argus when it was unfortunately only 47 km. When I decided to do this particular challenge, I never could have imagined the life changing experience I was about to embark on! Not only for myself, but my family committed themselves to this just as much. The challenge is 362km, 5500m if vertical climbing with a 36.1 hour cut off time. The race starts with 15 km of farm roads taking riders in a northerly direction towards the Swartberg Mountains. A short section of tarred road makes way for arguably the second hardest climb of the race up to Waterpoint 01 at Spitskop, around 36 km into the race. A tricky fast descent takes riders towards De Rust and Dysselsdorp to Checkpoint 1. The longest stage of the race, but in relation to the distance, it is the stage with the least amount of climbing. 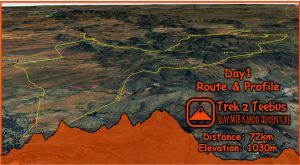 From Checkpoint 1, undulating gravel roads pass Waterpoint 03 at Scheeperskraal and Daskop onto Mount Hope where Waterpoint 05 awaits. This stage has no major climbs, only the open roads and darkness. From Waterpoint 05, the riders traverse the northern slopes of the Outeniqua mountains heading past Highgate and eventually onto Volmoed at Checkpoint 2. Probably the hardest stage of the race judged on proximity into the event and more serious climbs. With Volmoed behind, the riders head in a westerly direction towards the northern sections of the great Gouritz river. Sharper steeper sections find its way to the southerly slopes of the Rooiberg Mountain – with around 270 km in the legs, this bump in the road feels quite severe. The descent usually coincides with sunrise over Calitzdorp, the port capital of South Africa. Sun on the back and home sweet home in sight makes the narrow farm roads past Groenfontein and Kruisrivier seem easier – undulations and fast downhills bring riders ever closer to Oudtshoorn past Lategansvlei and onto Kleinplaas Holiday Resort – 361 kilometres done and dusted!